We have a wide range of luxury vehicles for all your Yorkshire chauffeur needs, and provide a fully bespoke chauffeur service in Yorkshire that is second to none. Our Yorkshire chauffeur service offers a fully comprehensive service. Whether it’s a corporate booking, private booking for a special event, a wedding, or a luxury airport transfer, we at Yorkshire Chauffeurs will cover your needs and exceed your expectations. We have a fleet of: Mercedes E Class – the industry standard! Mercedes V Class luxury people carriers, Mercedes S Class. All our Mercedes cars are finished in metallic silver or black with full leather, air conditioning & privacy glass and have free Wi-Fi, complimentary bottled mineral water, and mints. To make an extra special wedding, we also offer the Range Rover Vogue, Bentleys, classic Rolls Royce Silver Spirit, Rolls Royce Phantom and a convertible Ferrari F430 Spider in red. All our vehicles are fitted with dashboard cameras to monitor the road ahead, and are fully GPS tracked. 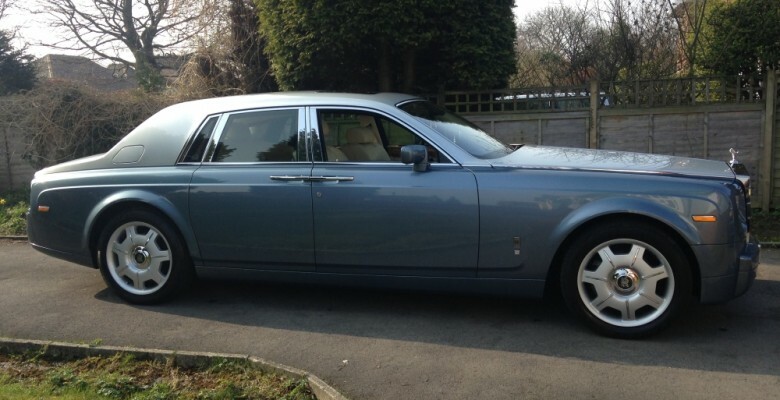 Our drivers have been trained to the Rolls Royce chauffeur standard. We arrive 15 minutes early for every job, and have already planned the journey ahead, checking for any road changes ahead. In the case of an airport transfer, we pre check every flight to see if it is ahead or behind schedule. As our business continues to grow through recommendations and prides itself on repeat custom, we will always do everything to ensure your journey is thoroughly professional, reliable, and smooth, whilst being friendly and relaxed at the same time. At York Chauffeurs, our chauffeur service literally goes the extra mile! Our cars are garaged and valeted before every job. All drivers have extensive local knowledge of Leeds, and the UK motorway network. We are fully licensed, referenced and insured, and our vehicles have an MOT twice a year. Our professional drivers have all passed a medical examination and are CRB checked and sign a non disclosure agreement. We at York Chauffeurs are looking forward to being of service to you. Our Chauffeur Service in Yorkshire prides itself on our magnificent cars and superior service, and will always beat any quote. chauffeur service, Luxury Wedding Car Services, wedding chauffeur and tagged Chauffeur Driven Cars York, Chauffeurs In York, chauffeurs york, york chauffeurs. Bookmark the permalink.